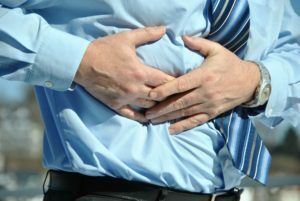 Millions of people experience increasing digestive disorders, such as gastritis, indigestion, food allergies, irritable bowel syndrome (IBS), or ulcerative colitis. These disorders present many common complaints in clinics, from pain or cramping, nausea, to bloating, constipation, or diarrhea. If not treated properly, systemic imbalances will appear, showing lower energy, anemia, and skin problems as well. The digestive system is considered as an “acquired base” in Traditional Chinese Medicine over thousands years. Good digestion can guarantee the production of energy and substances required for a healthy body. 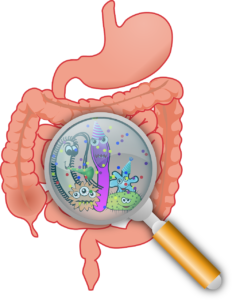 Many treatments for chronic conditions always consider protecting and improving the digestive function no matter what the symptoms are. Acupuncture is proven to be effective in treating many digestive disorders in china for thousands of years. Research shows that acupuncture help in a number of ways. Acupuncture may change acid secretion, as well as releasing vascular and immunomodulator factors to reduce inflammation. It possibly influences sympathetic nerves and the gastric perception area in the brain to reduce pain and reflexes. It helps to speed up bowel movement and empty the gastric track. Auckland Eastmed Acupuncture provides treatment for a wide ranges of digestive disorders, such as epigastralgia / abdominal pain; gastro-kinetic disturbance; nausea and vomiting; diarrhoea, Constipation, Chronic Ulcerative colitis; & Irritable bowel syndrome, etc. All treatments are conducted from licensed acupuncturists with local and oversea experience. For more information, please call Auckland eastMED acupuncture. We can discuss if acupuncture will benefit your condition.